There will be times in your relationship where certain warning signs present themselves in unexpected areas with the person you love. Especially if they are a sociopath, you would expect to be able to communicate with them on certain things but often times can prove to be extremely difficult for both of you come to an understanding. You will want to get out of this relationship as soon as you possibly can or getting help from a trusted source that may be able to help you with your current situation. The life of living with a sociopath will make you feel less of a person, lower yourself esteem, and belittle you in every single way they can. Falling in love with a sociopath is dangerous and should be avoided at all costs for you could be their next victim that they plan to overwhelm as well as manipulate you for the things they want most. A sociopath will leave you feeling as if you were never of their concern to begin with sometimes. They will avoid meeting your wants and needs in order to get what they want in the end game. A sociopath does not care about the way you feel, what you have to say, or show any concern for your physical well being. Their conflicts have now become your conflicts and there is no way of getting around it. If you have ever noticed that your partner is forcing you to believe in doing harm to anyone or illegal acts of crime, then this is an extreme warning sign that you are dating a sociopath. Anything that you feel is uncomfortable or unnecessary and they plan on making you feeling this way for an extended period of time, you must release yourself of this toxic relationship. Do not cave into their peer pressure, leave them as soon as you can if they approach you with something you are not willing to do. 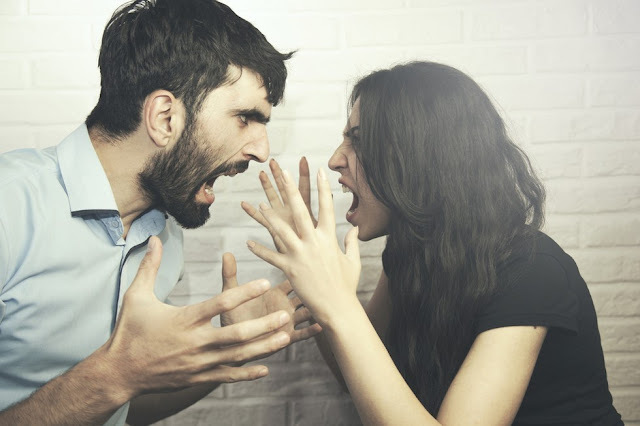 If you have ever felt that your partner has manipulated you, taken advantage of you, or made you feel like you had no other choice into doing what they wanted, this is an extreme warning sign that you are with a sociopath. A sociopath will try to dominate your relationship, control every single thing you do, and will always be checking up on you. Do not give them any kind of information if you feel unsafe giving it to them. You may notice this warning sign in your partner if they are abusing drugs, alcohol, or any other kind of substance. It will become extremely obvious when they have been caught lying, their entire demeanor changes, and will try to make you feel as uncomfortable as possible. You’ve begun to notice that your partner hurts you a lot more recently instead of providing any kind of support for your own goals, this is a huge warning sign that you are with a sociopath. A person who is showing you lack of any form of empathy is more than likely taking you for a ride. There is something about you that is worth gaining from and they are not so willing to just give that up. However, it doesn’t matter when it comes to the way you feel at all, your input is none of their concern. This is a very unfortunate way for someone to live their life, but this does not mean that you have to throw yours away for theirs just so they can find a toxic way to be happy. You must find a way out of this relationship with this person in order for your physical and mental well-being.